Head of right figure missing; figures have short skirts to above knees, with loop fastened belt; inscriptions at feet of each figure. Representing Pen-meru in three Ka forms, left head without headdress, center head with large wig each in traditional pose with clenched fist and figure’s left leg forward. Color remaining in parts. From Giza, tomb G 2197. 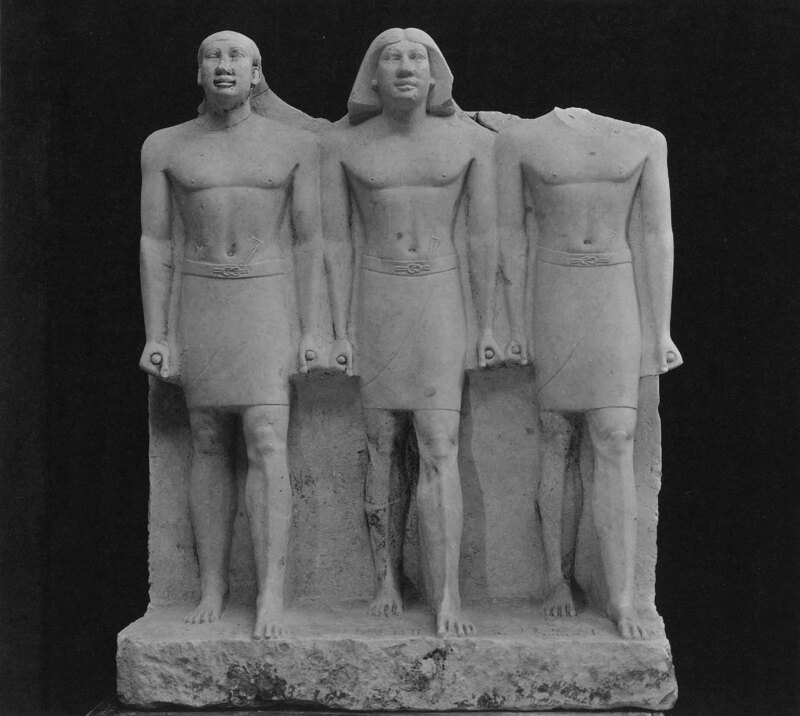 1912: excavated by the Harvard University-Museum of Fine Arts Expedition; 1912: assigned to the MFA by the government of Egypt.